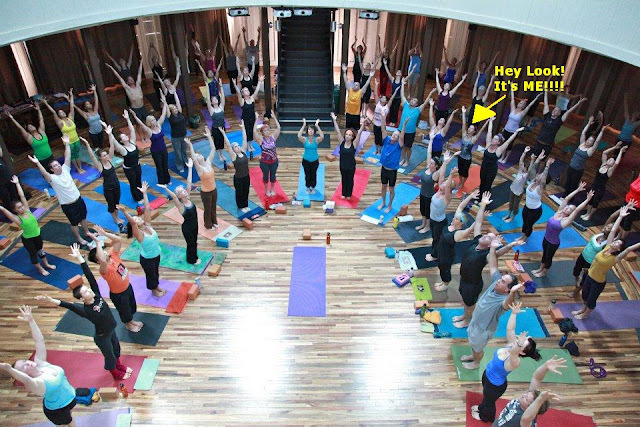 This is from the Yoga Aid Challenge! Anyway...back in January, I was depressed. SUPER depressed. My boyfriend had just left me, I had family drama, and I hated my job. Basically, I was running out of reasons to get out of bed in the morning. 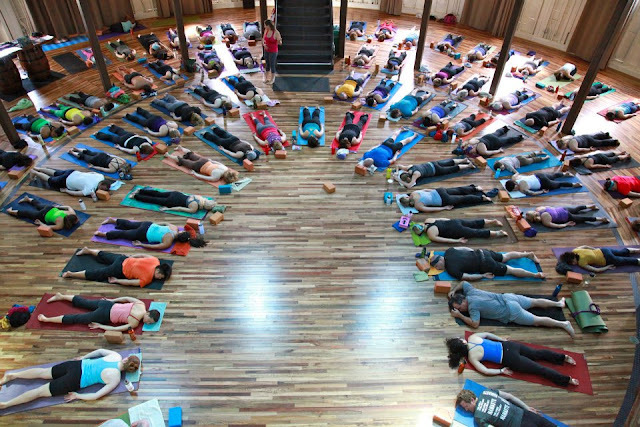 And then I heard about a program through my yoga studio called 40 DAYS TO PERSONAL REVOLUTION. Aghhh, self help. Well, I needed some self-help in my life so I enrolled! 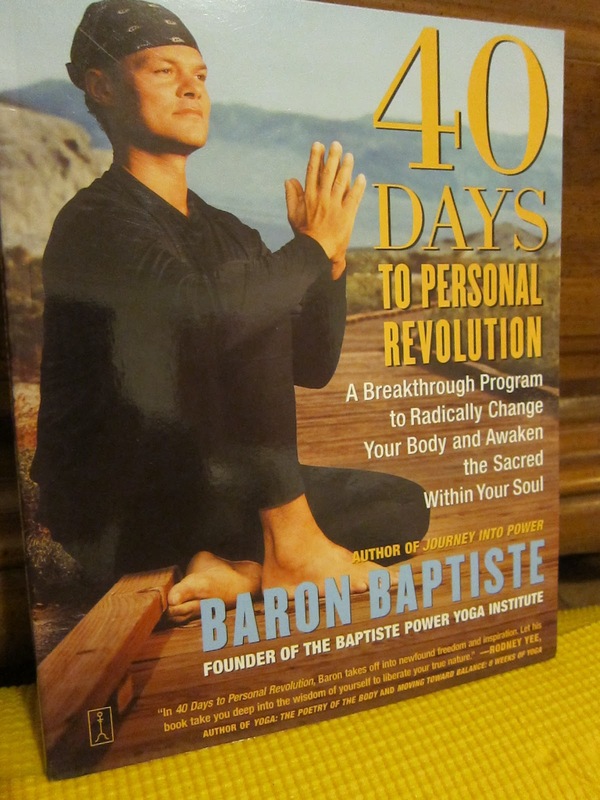 The 40 Days program is based on a book written by Baron Baptiste that guides you to look deep within yourself and discover what isn't working in your life. You do yoga 6 days a week, meditate twice a day (which get incrementally longer each week), have weekly group meetings, shift your diet, answer in-depth self excavation questions, and oh yeah, read the book. Not to be overly dramatic or super cliche, but the 40 Days program saved me. Not that I was near death or anything, but it saved me from a life of misery. I already knew I was on the wrong path, but throughout the 40 Days I realized that I was the only person who had the power to change my path. And it was then that I found the courage to rid myself of the things that weren't serving me to become a happier, healthier person. I wanted to be free. I found a new place to live, I distanced myself from caustic friendships, I tossed the clutter, and then I put in my notice at work and bought a ticket to Peru. In February I remember saying, "I just want to wake up one day and be leading a completely different life". And now I am! Yoga hasn't changed my life. I've changed my life because of yoga. Nothing and nobody has the power to change your life besides you. And now I am enrolled again in the 40 Days to Personal Revolution program! I have completed Week 3 and so far so good! I've managed to make it to yoga class 5-6 times per week. I'm meditating once a day (twice a day got to be overkill once each meditation session hit 20 minutes. baby steps...), I have rid meat and store-bought beer from my diet, and I am working on being more present and noticing my reactions. Anyway, the reason I bring this up NOW is that tomorrow I start a 3-day Fruit Fast (cleanse?)~! oh scariness... I opted out of the fruit cleanse last time because it was January and there was no fruit! I'm nervous/slightly paranoid that I'm going to starve to death. eeek!